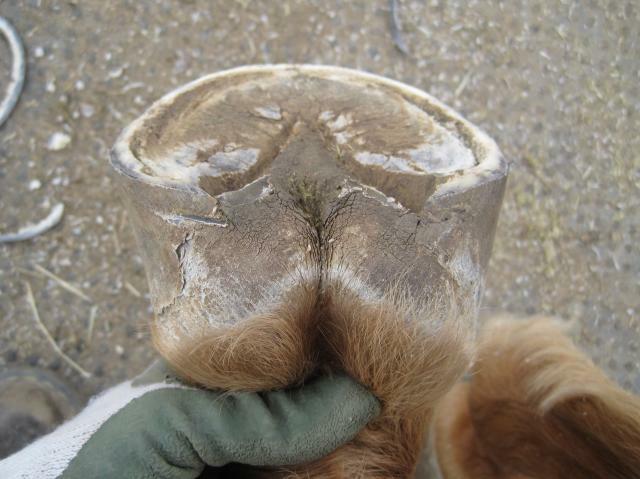 I talk a lot here about how to go about trimming a hoof, but this week, I wanted show a hoof at each stage of my trim. Before we start, though, I think this is a good time to briefly talk about why I trim the way I trim. There are always going to be folks out there saying you should have done this, you shouldn’t have done that. In some cases, they might be absolutely right. 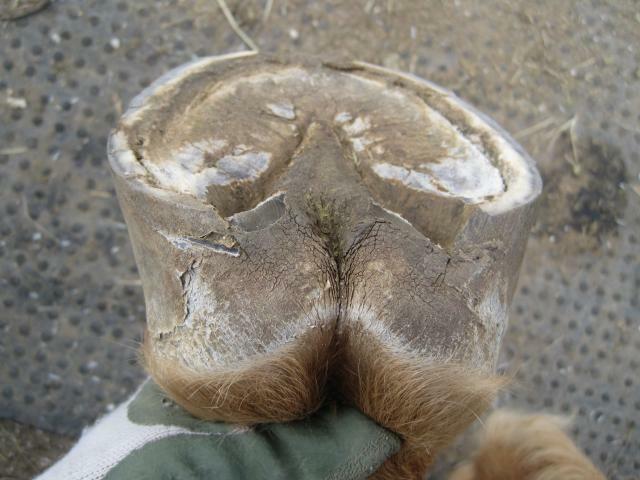 But after all the years and all the hooves I’ve handled, my trim is the evolution of what works for the horses I trim, in the environment I trim in. 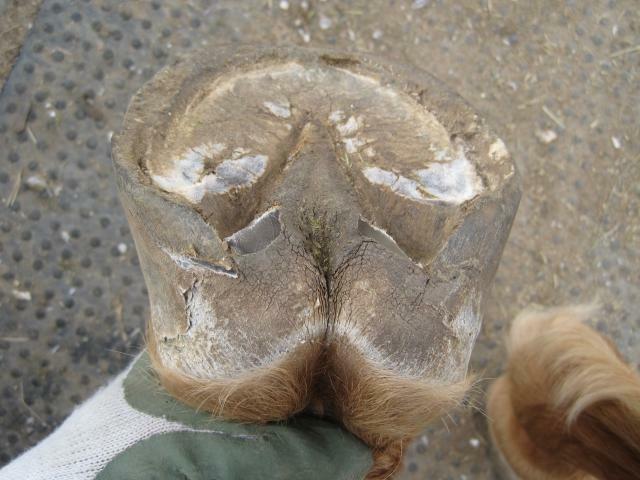 It is the trim that I have found most effective at 1) keeping a horse sound barefoot, and 2) preventing new and/or mitigating existing pathologies. 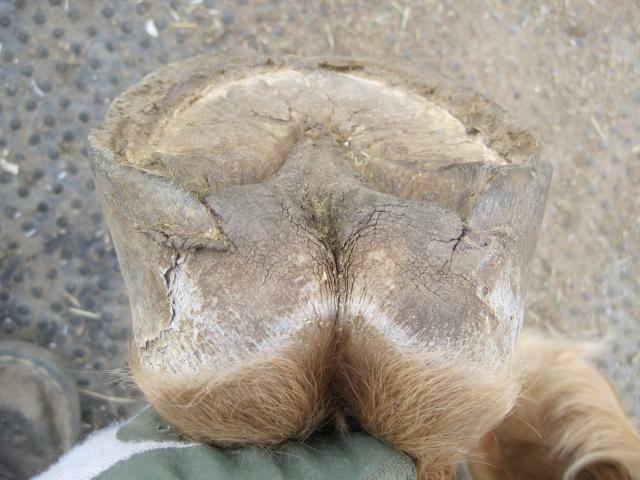 Mind you, there are infinite variations on my trim from horse to horse, even within a subset of good footed horses. And a whole different set of principles employed for correcting problems and pathologies. 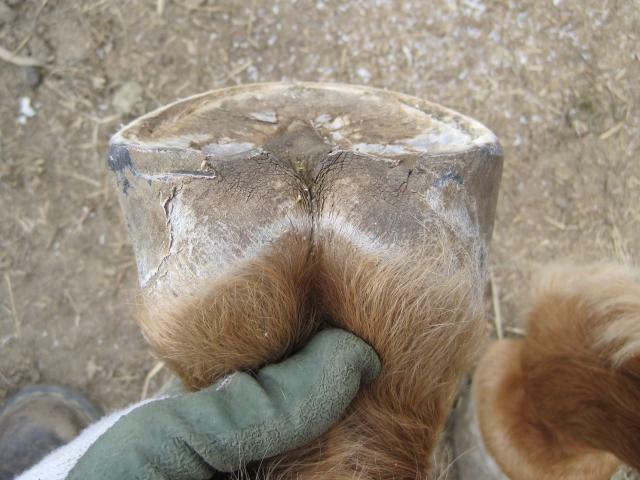 Today, I’m going to show you a trim on the right front foot of a 6 yr old TWH gelding named Riser. Riser is one of my personal herd. He has been barefoot from birth, with the exception of 2 weeks before I bought him and pulled his shoes 2 years ago. 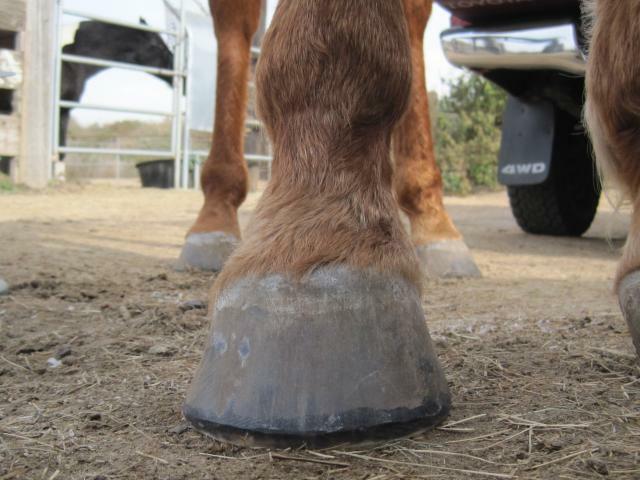 While he had been barefoot prior to that, his hoof care was a bit lax – he had the platter foot so common on young barefoot horses allowed to go too long between trims. His feet have shaped up nicely with a good trim cycle and proper trimming. He is comfortable on all terrain. 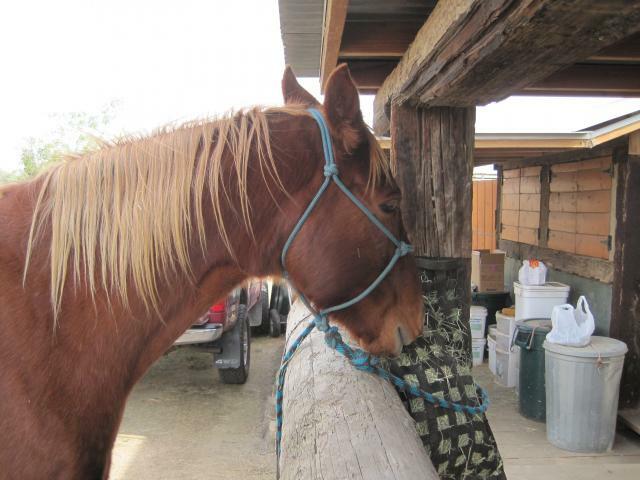 Riser enjoys some hay while he models to help me with this article. The steps here are fairly typical of how I trim, although I don’t always do everything in this particular order. 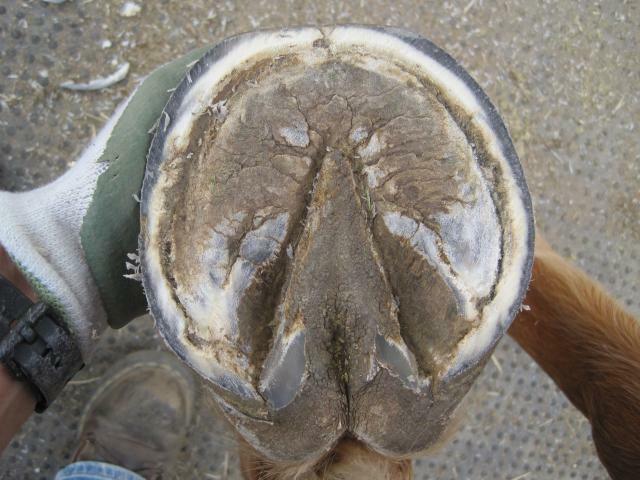 Photos 1 and 2 show the hoof before any trimming. 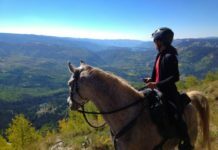 I had a crazy month, and my herd was a bit neglected; I prefer to trim my own horses every 2 or 3 weeks, but this go ’round we were at about 6 1/2 weeks. You can see the abundance of wall growth, and the bars starting to lay over, although the overall wear pattern remains reasonably symmetrical. 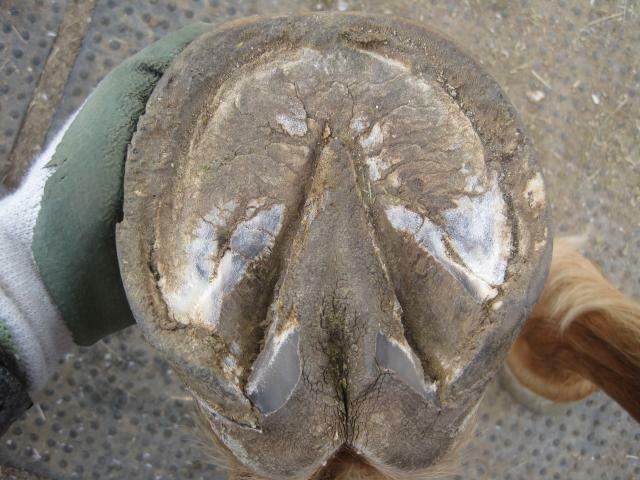 Photos 1 and 2 show the hoof pre-trim. In Photos 3 and 4, I’ve cleaned up the frog, bars and heel triangles. I’ve only taken enough frog material to allow easy cleaning. The bars have been brought down to the calloused sole plane, and I’ve flaked out just enough exfoliating sole in the heel triangles to help ascertain appropriate heel height. 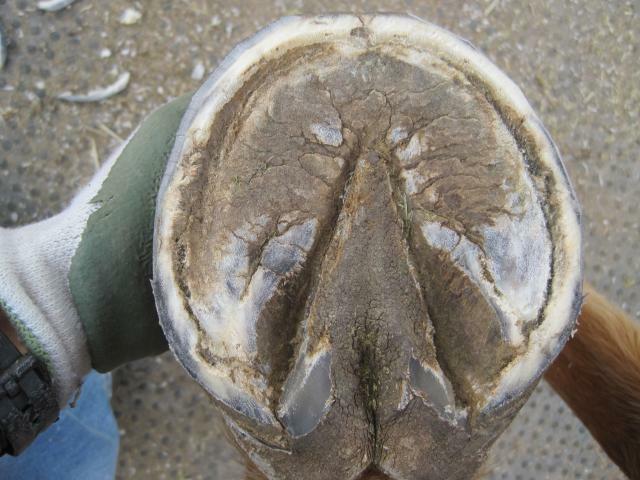 While there is clearly old/exfoliating sole across the bottom of this foot, I’ve left it to shed out on its own. In Photos 3 and 4, I’ve cleaned up the frog and bars. Photos 5 and 6 show my first pass with my nippers, taking the wall down to about 1/8″ above the sole plane. It’s a good idea to always err on the conservative side with your nippers, until you are confident and proficient. 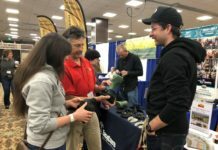 You can always take more with your rasp…but you can’t put any back! At this stage, things are still pretty rough, but that’s fine — we’ll fine tune everything with the rasp. Photos 5 and 6 – I’ve used my nippers to take excess wall height. I’ve used my rasp to level the nippered wall in Photos 7 and 8. 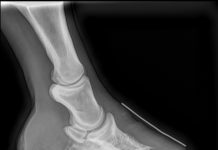 My balance still isn’t quite right; the lateral (outside) heel is still considerably longer than the medial (inside) heel. 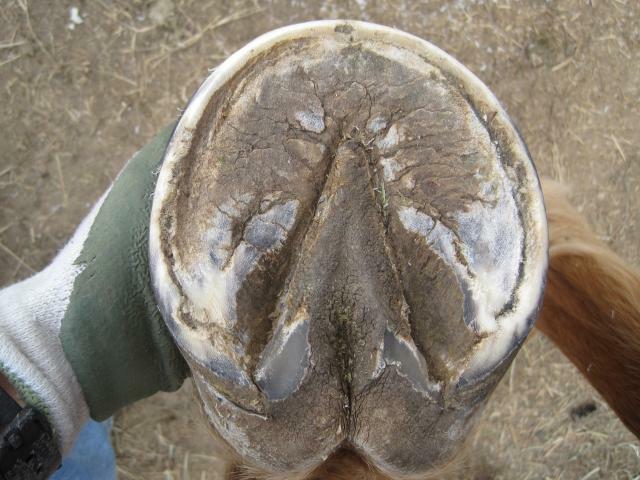 The lateral toe corner needs a bit more work, too. I cleaned that up before the next step. Photos 7 and 8 – leveling the wall with the rasp. The next step is to begin the bevel, or mustang roll. 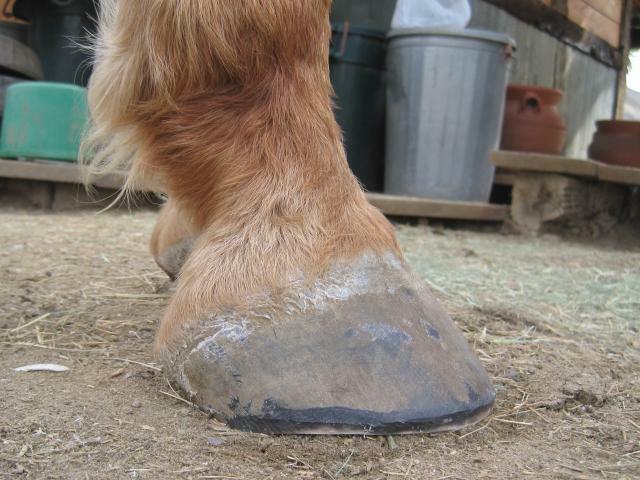 On a thin walled hoof, I usually begin the bevel from the bottom using my rasp. 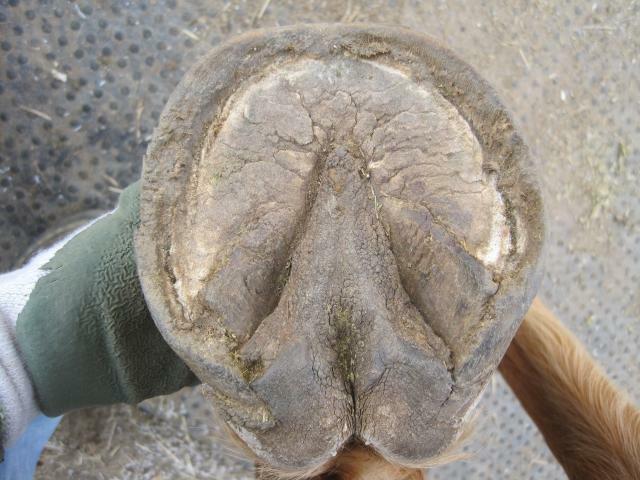 But on a thick walled hoof like Riser’s, taking a first pass with the nippers is a nice short cut. Photos 9 and 10 show the bevel I’ve nippered. Photos 9 and 10 show the bevel I’ve started with my nippers. Finally, in Photos 11 and 12, I’ve finished the bevel from the top of the foot. 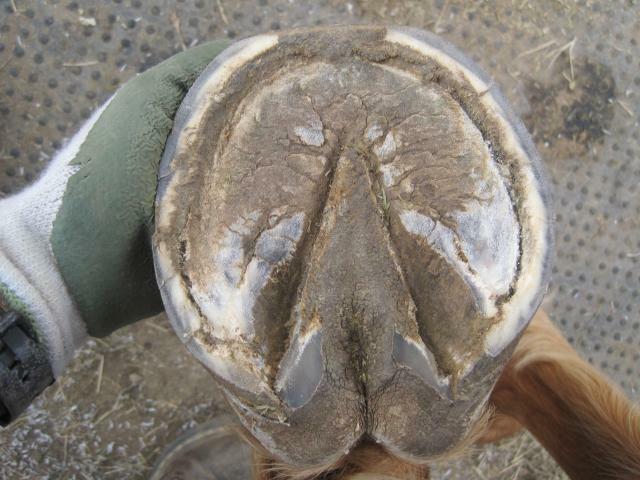 I always go back and look at the bottom of the foot again, just to make sure things are nice and even. Photos 11 and 12 — after finishing the bevel from the top. I’ve added a lateral shot, and a dorsal (front) view so you can see the finished product. Riser tends to flare if I let him go too long between trims as I did this time, and you can see that here. 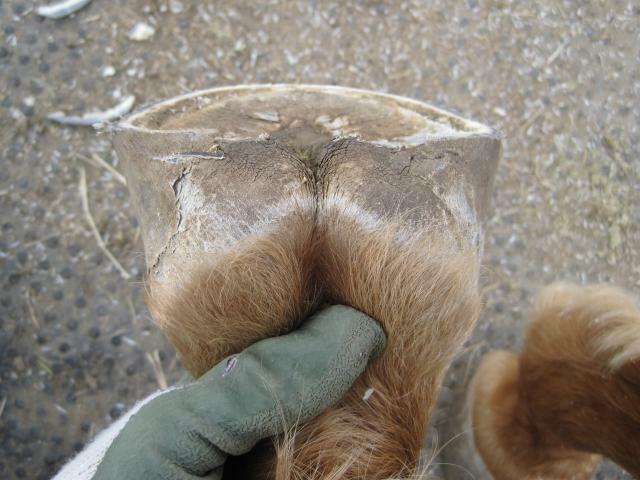 I find that dressing the wall, and therefore thinning it, to remove these flares weakens the hoof capsule and can perpetuate the problem. Instead, I prefer to leave most of the wall thickness, and just keep a strong, fresh bevel on the foot. Hopefully, this month will cooperate, and I can get Riser back on a 2-3 week trim cycle!